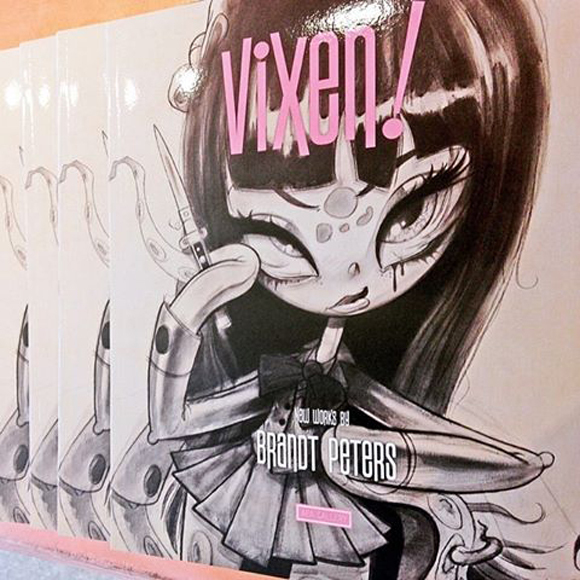 Our friend Brandt Peters just opened his amazing new show VIXEN! at AFA NYC. Using the terms groundbreaking and immaculate do not even do it justice. Make sure you check out the show and his new book signing on Saturday, February 14th. NEW YORK, NY | AFA Gallery of SoHo opens a new solo exhibition for Brandt Peters consisting of 24 mixed media paintings and one monumental sculpture. The Artist will be in attendance for an opening reception on Thursday, February 12th. 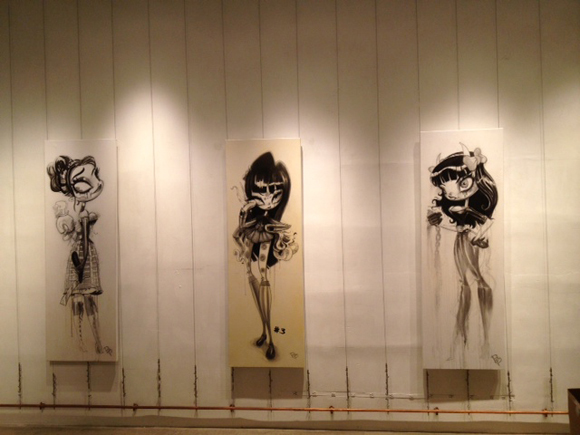 On Saturday, February 14th (Valentines Day), Peters’ will return to sign his new exhibition catalogue. VIXEN is Brandt Peters’ contemporary re-interpretation of the classic pin-up art. Super heroes and alien school girls, crime bosses, and girl gangs: these characters embody a new female attitude. The empowered, independent, and brave antiheroes are still very much misfits in Peters’ classic brand. They take up the good fight alongside the deviant rascals and scalawags of his universe. Peters’ larger than life femme fatales bravely stomp and strut the line between light and dark, and transcend any antiquated notions behind the interpretation of the female form. The collection of new work was created as life-scale, with most pieces hovering between five and six feet tall. ABOUT THE ARTIST | Brandt Peters is a self-taught illustrator and designer whose work has garnered international attention. His paintings explore the eras of ancient cartoons, Victorian toys, and pre-WWI vintage Pop ephemera; all fodder from being raised by a family of artists and antique collectors. 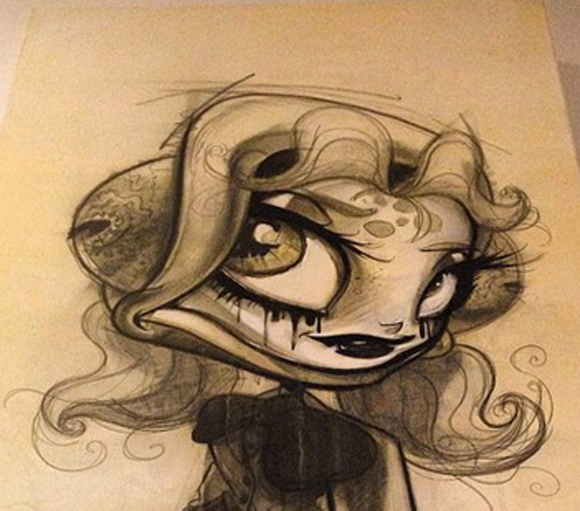 Brandt’s world is composed of creepy sideshow icons, deviant animals, and masked, glorified cartoon alter egos. These characters and cultures serve as the antitheses of the innocent and socially acceptable. Although they are misfits, there is a relatability that is felt, because out of the public’s eye, everyone is a misfit. Brandt lives and works in New Mexico with his wife and partner, Kathie Olivas and his two dogs, Bailey and Diego.